Please allow me space in your independent and free speech supporting newspaper to air my views about Mazhandu Family Bus Services (MFBS) Management. On Thursday night, 23/02/12, I was traveling from Livingstone to Lusaka aboard the 22:30 hours bus and it was raining heavily. One lady was asked to buy a sit for her 7 year son, or else she was going to be refunded her money. The bus was actually stopped from starting off and the lady was almost pulled out of the bus until some well-wishers paid for the child. This woman was greatly disturbed that she cried almost the entire journey. The poor lady lamented that no written document was issued by Mazhandu management over which child should pay and at what rate? 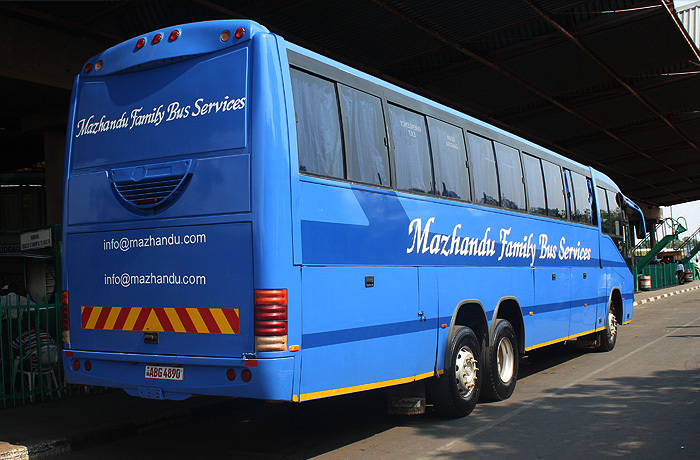 The Mazhandu staff insisted that their bosses were going to hold them responsible if an accident happened and issues of compensation arose especially on a 7 year old child who did not pay for his fare, citing some examples. Some of the staff openly pointed it out that they were scared for their jobs. In the recent passed I have noticed that Customer care by this company has been reducing. I wish to urge the Mazhandu Management who are currently enjoying good business, to clarify to its customers on which child will be paying and at what rate. They should further re-address issues of customer relations before they start losing customers for they have lost me, that poor lady and probably some of those passengers. Luckily I have 3 other reliable buses to choose from, Elagaine, Brookers and Shalom.